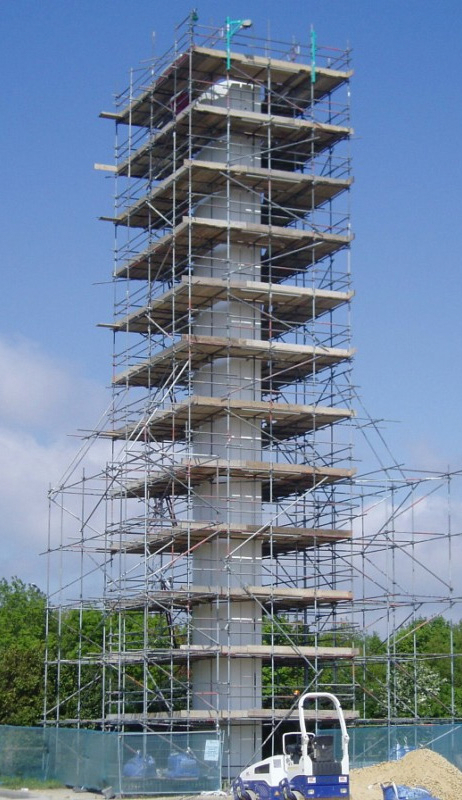 Cup-lock Scaffolding is a temporary structure used to support a slab, work crew and materials to aid in the construction, maintenance and repair of buildings, bridges and all other manmade structures. 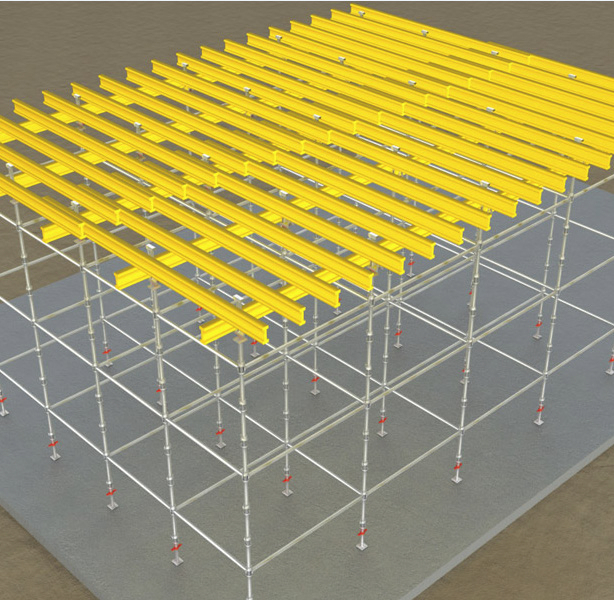 Cup-lock is a fully galvanized or painted multi-purpose steel scaffold system suitable for providing general access and supporting vertical loads. All vertical standards and ledgers tubes are 48.3mm diameter with 3.00 or 3.20 mm thickness. Cup-lock is the world’s most widely used system scaffold. Cup-lock’s key feature is its unique circular node point which allows up to 4 horizontals to be connected to a vertical in a single fastening action-making it probably the fastest and safest system available. The ease of handl ing, easy storage space requirements and high load bearing capacity are the main reasons for its immense popularity. The comprehensive range of Cup-lock components allows it to be used with traditional scaffold boards or battens. It can be used to create a huge range of access and support structures, circular scaffolds, loading towers etc. Cup-lock Scaffolding is a multi-purpose system suitable for access and support in all types of construction of building & Civil engineering project.